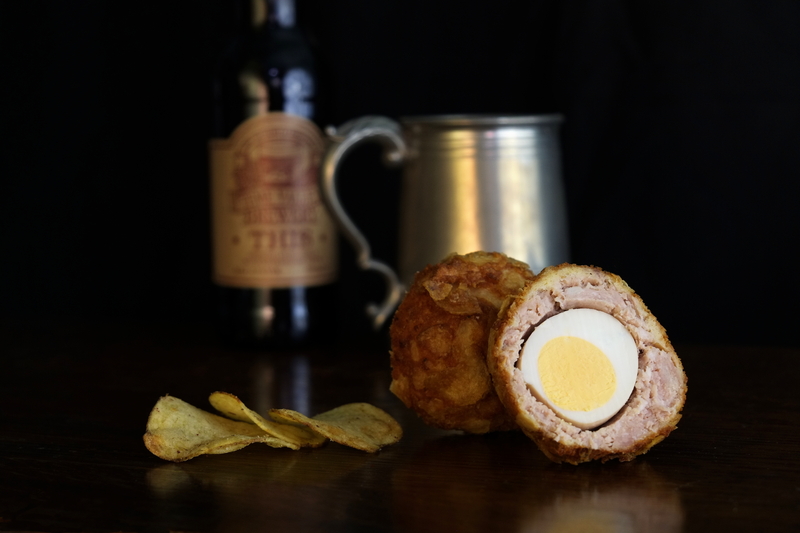 Hatched in 2002, Neil and Penny Chambers launched The Handmade Scotch Egg Company with the mission to make the humble Scotch egg Britain's favourite snack once again. 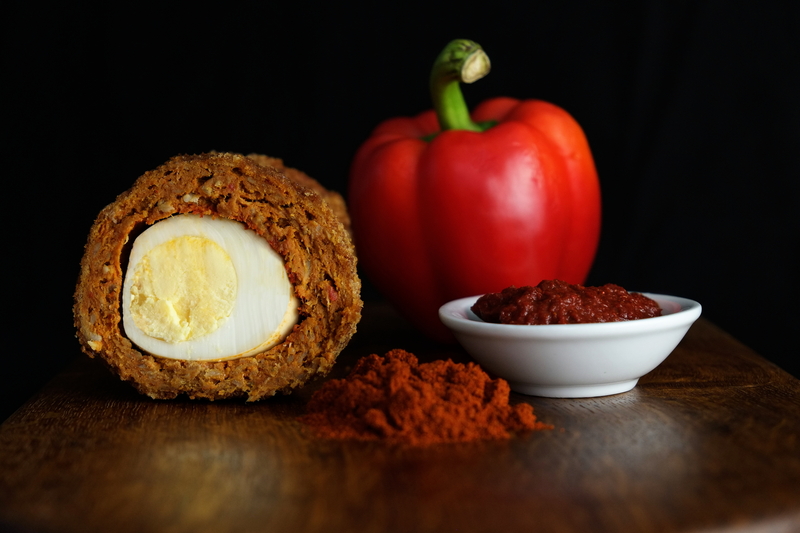 Using locally sourced ingredients, where ever possible, we now produce up to 40 different flavours including vegetarian and gluten free. 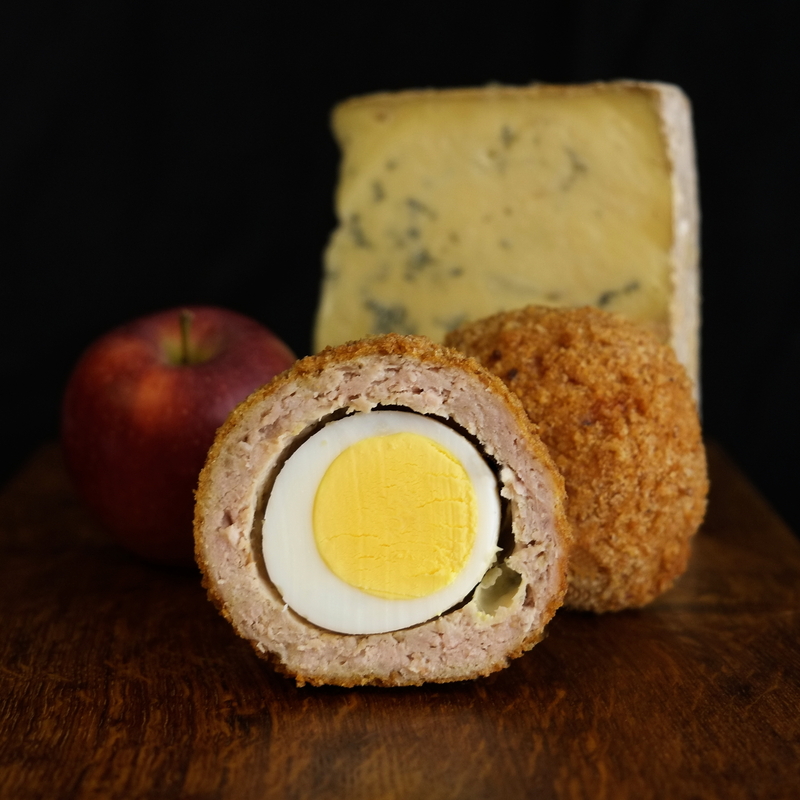 Every one is hand made in small batches and although they are now produced in purpose built production kitchen, they are still made the same way to the original recipes that Penny created and developed at the start. We endeavour to continually monitor and improve environmental performance and impacts. We recycle all plastics and cardboard locally. 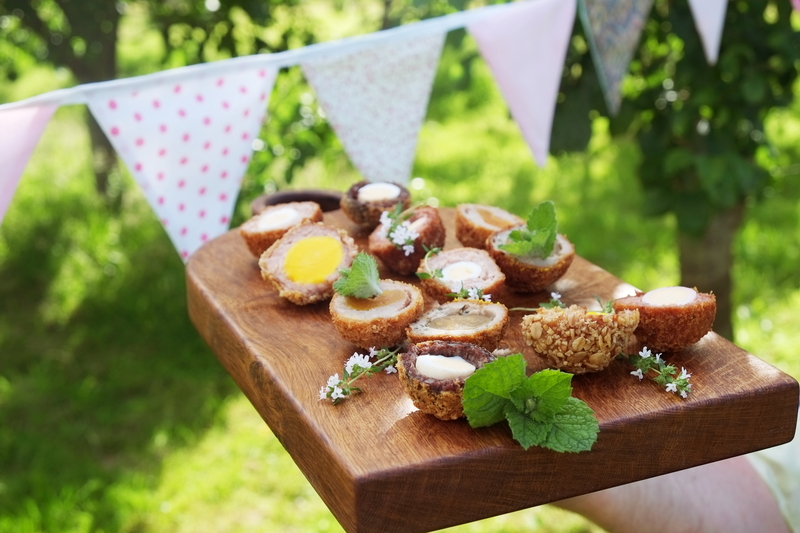 Our wonderful egg makers are all very much part of the local community, some walking or cycling to work. We support local charities and hold fund raising events at our retail sites. 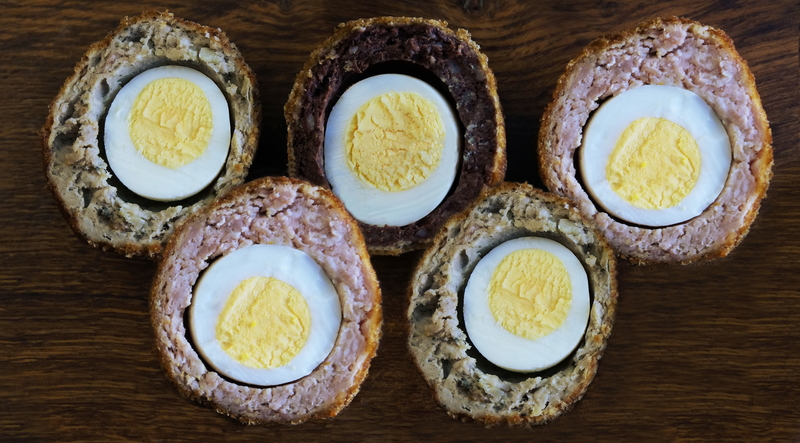 We are not into flashing packaging, our handmade Scotch eggs are packed in gloriously unfussy compostable boxes. Outer boxes and insulation is provided by the fabulous Woolcool company, an amazingly effective insulated packaging comprising of clean, 100% pure sheep's wool sealed within a recyclable, food-grade wrap to create liners for recyclable delivery boxes. Our customers are coming up with some wonderful ways of reusing the linings - roof insulation, dog beds, hanging basket liners and jacket liners for starters. We are fortunate to have a recycling centre just three miles away. All our staff are trained in all aspects of good food production and food safety to recognised standards. We are a team and take great pride in what we produce. 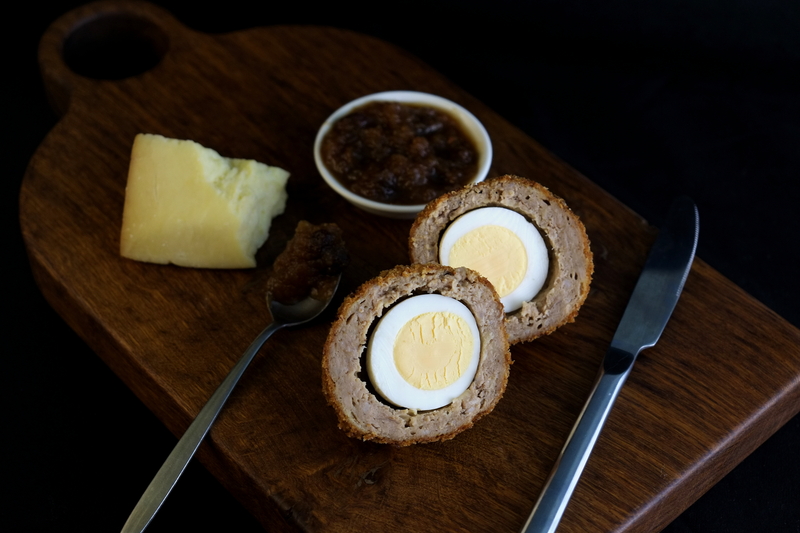 We source pork from approved suppliers to meet UK and RSPCA standards. All pork is out door reared or free range where available.